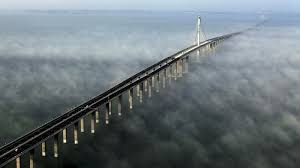 Largest Sea Bridge China. Recently Chinese president Xi Jinping officially opened the world’s largest sea bridge connecting Hong Kong, Macau and mainland china on 23 October 2018. The bridge name is Hong Kong – Zhuai – Macau – VriBri (HKZMB or HZMB ). On paper Hong Kong & Macau are part of China but but these teritterr have their autonomy. The bridge will slash the travel time between Hong Kong and Zhuai from 3 hours to just 30 minutes. The world’s largest sea bridge, designed to withstand magnitude 8 earthquake, a super typhoon & strikes by super sized cargo vessels was built using 400000 tonnes of steel enough to build 60 Eiffel towers. It is the first time that three sides had worked together on a major infrastructure project Macau, Hong Kong and mainland China. Hong Kong and Macau part of China ? Special Administrative Region (SAR) are Hong Kong and Macau . These are relatively autonomous regions within the People’s Republic of China that maintain separate, legal, administrative and judicial system from rest of China. It means communist party of China (CPC) has unopposed power in whole China except these 2 territory of China where it has it’s own autonomy. So that’s why they can do trade with any country. These 2 territory also represent in Olympic games separately (not with China). For example in cricket Hong Kong country separately participate. The critics have called the bridge a ‘white elephant’ and a ‘blood and sweet project’ as more than 600 workers were injured during it’s construction and 10 died. 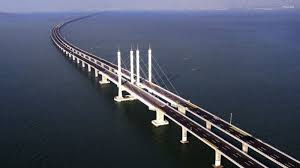 To join Hong Kong and Macau there is also a bridge construction is in the process in the northern side of Macau. So at the end of 2030 world’s largest sea bridge HKZMB bridge will be redundant. So in this way China has developed world’s largest sea bridge and now it is opened.